Leading Exporter of ss centrifugal pump, cf series stainless steel centrifugal pump, stainless steel centrifugal bare pump, stainless steel centrifugal pump, stainless steel pumps and bare pump from Ahmedabad. 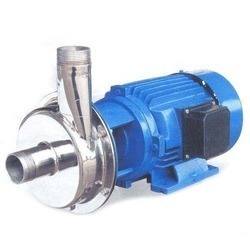 We offer a wide assortment of SS centrifugal pumps, which are extensively used in various engineering, fluid based and other industries for transporting of milk, juice, water, chemicals etc. Fabricated using high grade stainless steel, these pumps are acknowledged for high durability and flexibility. 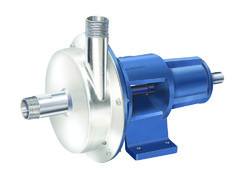 Innovatively designed, these pumps ensure trouble free performance and energy efficiency. These pumps are stainless steel centrifugal monobloc and bare pumps(coupled).These pumps are made from ss-304 or ss-316 sheet. The pumps are precisely fabricated . These pumps wetted parts are of stainless steel and widely used in chemical and process industries. 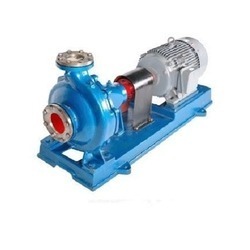 As these pumps are fabricated from steel. international quality at affordable price with minimum delivery period. Seal silicon carbide VS silicon carbide Or as per customer’s requirement. 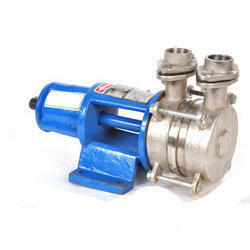 We are the leading supplier of Stainless Steel Pumps. We offer a wide assortment of Stainless Steel Pumps, which are extensively used in various engineering, fluid based and other industries for transporting of milk, juice, water, chemicals etc. Fabricated using high grade stainless steel, these pumps are acknowledged for high durability and flexibility. Innovatively designed, these pumps ensure trouble free performance and energy efficiency. 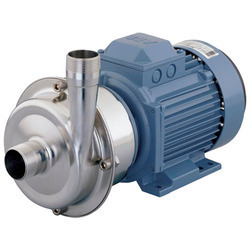 We offer a wide assortment of Bare Pumps, which are extensively used in various engineering, fluid based and other industries for transporting of milk, juice, water, chemicals etc. Fabricated using high grade stainless steel, these pumps are acknowledged for high durability and flexibility. 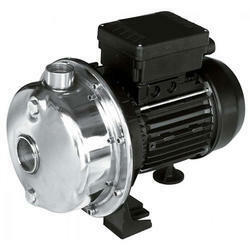 Innovatively designed, these pumps ensure trouble free performance and energy efficiency.